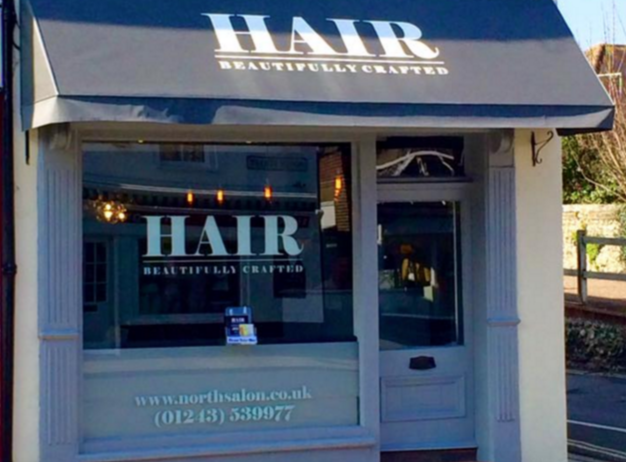 Brand new salon in Chichester North Street offering modern services for the entire family ... Specialists in colour .. Ombré ... Extensions and modern cuts that suit your face shape and lifestyle. Helpful award winning stylists. Really enjoyed my experience today! Very pleased with colour and cut! Lovely to chat to someone new with a cuppa or two! Thank you ! Amazing haircuts on my boys!! Best haircut i've had in ages! Could not be happier with the end result and a very friendly hairdresser. KIM is very profesional and very sweet in the same time, I have long hair and extensions she worked more then with a normal hair charged me corectly and the result is exatly what I wanted. Thank you! I will be there again! Sophia was very supportive. Great hair cut and great customer service. Thank you. I am new to the salon and will be back. Absolutely delighted with the result considering my hair was 4 different colours, now just one. Jess was fantastic! Probably the best colour I've had! Cody was also great bringing me tea! Thank you! Great first visit. Love my hair. Chilled salon which was nice. Could do with better magazine selection! Have made another appointment for 2 months time. Lovely chat with Jess and a great cut too ..see you next time. Hair stayed lovely all day, & such precision cutting. Excellent salon. Very friendly and professional. Great coffee! First time having any sort of colour/ highlights, and I absolutely love them!! Beautiful service and very chatty and comforting. I am a new customer . Carina did an amazing job I’ve moved from London ... so the bar was high . But Carina went about and beyond . I am so happy with my colour and cut . My hair was in need of Tlc . Great products also . Carina always does wonders with colour on my hair, makes me look like a new person! Great cuts for me and my teenage son too. Jess is an award winning stylist who always delivers great results. Kim was lovely and really listened to what I wanted, she took time and explained what she was doing every step of the way. Restored my confidence. Thank you Kim!